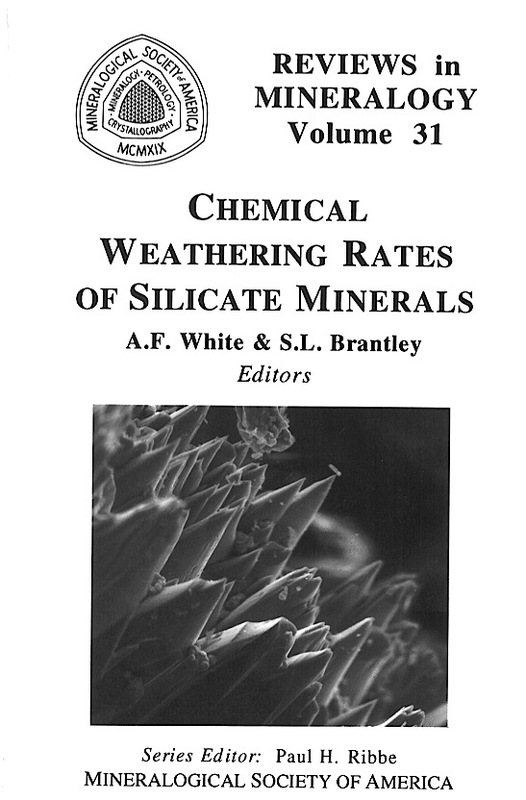 This book reviews current thinking on the fundamental processes that control chemical weathering of silicates, including the physical chemistry of reactions at mineral surfaces, the role of experimental design in isolating and quantifying these reactions, and the complex roles that water chemistry, hydrology, biology, and climate play in weathering of natural systems. The chapters in this volume are arranged to parallel this order of development from theoretical considerations to experimental studies to characterization of natural systems. Secondly, the book is meant to serve as a reference from which researchers can readily retrieve quantitative weathering rate data for specific minerals under detailed experimental controls or for natural weathering conditions. 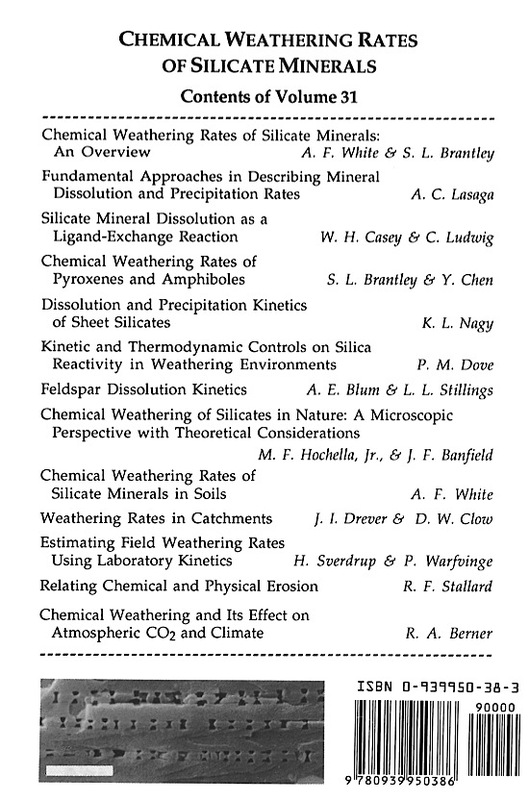 Toward this objective, the authors were encouraged to tabulate available weathering rate data for their specific topics. Finally this volume serves as a forum in which suggestions and speculations concerning the direction of future weathering research are discussed. The comprehensive nature of the volume provides opportunities to address important temporal and spacial issues that often separate the work and thinking of investigators working on specific aspects of chemical weathering. As has become apparent in assembling this volume, a number of important issues related to chemical weathering are unresolved. No effort was made to reach a consensus on these issues. Divergences in opinion were accepted between various authors and are apparent in the chapters of this volume.